Join us Thursday, July 12th at 11:30 AM for Storytime with SouthPaw, the Tri-City ValleyCats mascot. 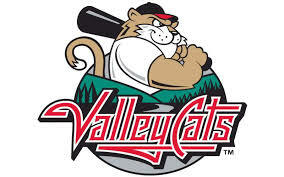 SouthPaw and some of his friends from the Tri-City ValleyCats will be here to visit and read sporty stories. All ages welcome! NOTE–this Storytime will replace our weekly Storytime with Miss MaryMargaret. Storytime will return on July 19th.